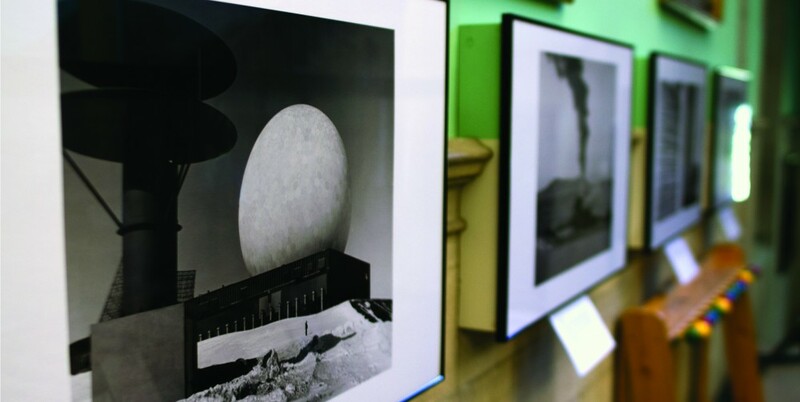 CAPTURING THE COLD WAR: The Peary-MacMillan Arctic Museum opened its new exhibit "Cold War in a Cold Climate," which features photography by Harold Grundy of Bath. Grundy supervised radar installation in Greenland during the 1960s. Bath resident Harold Grundy donated 193 photos to the Peary MacMillan Arctic Museum, which chronicle his time at the United States Air Force Base in Thule, Greenland during the 1960s. Last Saturday, the collection “Cold War in a Cold Climate” opened, which depicts Grundy’s tenure overseas where he supervised the construction and maintenance of a massive radar installation during the Cold War. “We were interested in this because this is the same area where Peary and MacMillan worked. It ties in extremely well to our collection,” Curator Genevieve LeMoine said. According to Witty, the establishment of the American air base in Thule was a valuable resource to the United States defense plan as the northernmost outpost. At the height of the Cold War, Grundy worked for the RCA Service Corporation, which contributed to the building of the Ballistic Missile Early System, which was designed to give advanced warning of missile launches from the Soviet Union. During his tenure in Greenland, Grundy photographed workings of the United States military during a time when there were great strains in relations with the Soviet Union. His photographs include depictions of the radar installations, as well as the indigenous Inuit people and their relationships with the airbase. The Thule Air Base, however, also caused the forced relocation of a community of indigenous Inuit people to more than 60 miles north. Grundy’s photographs of the Inuits supplement the Museum’s current collection of Inuit photos taken by Robert Peary, Donald MacMillan and LeMoine, who all studied in northwest Greenland. LeMoine plans to send the portraits of the Inuit people taken by Grundy to the Inuit community still in Greenland to identify the subjects. Witty has already selected a favorite photo in the collection: a photo of an Inuit man with his sled dogs.